I've long been a fan of Blythe Danner. 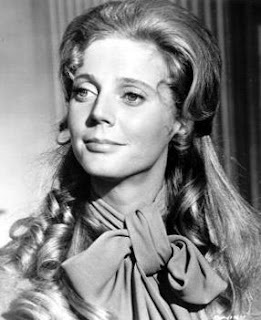 I first learned who she was when my mom had me watch 1776 as a child (at 29 years old, she played the beautiful Martha Jefferson). Not only did I fall in love with her song, He Plays the Violin, but I was drawn to her spirit and vivaciousness as an actress. And finding out she was Gwyneth Paltrow's mother at the height of my Sliding Doors obsession? That's all the evidence I needed to determine how amazing Blythe Danner really is. Simple? Yes. Shallow? Maybe. 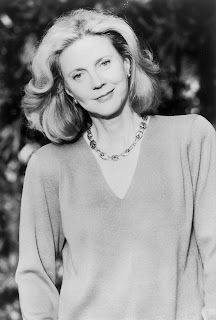 But I believe Blythe Danner is a true Beautiful Belle. Find out more -- and see tons of photos and that 1776 video -- after the jump. 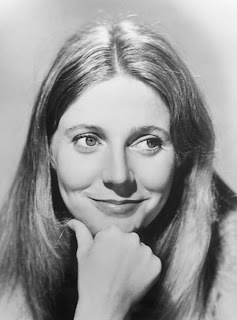 Blythe Danner was born in Philadelphia in 1943. By 25, she was already garnering praise for her stellar acting, winning the Theatre World Award for her performance in the Lincoln Center Rep's production of The Miser. Film and television roles soon followed, with the aforementioned 1776, Brighton Beach Memoirs, Adam's Rib and The Prince of Tides, just to name a few. Later years have seen Danner playing the matriarch in roles like her recurring one as Will's mother on Will and Grace and Robert DeNiro's wife in Meet the Parents. But Danner does more than act -- she is a true humanitarian. For more than 30 years, she has been involved in environmental issues including recycling and conservation, holding positions on the Board of Environmental Activists and the Environmental Media Association; and winning the 2002 EMA Board of Directors Ongoing Commitment Award. Danner also became involved with the Oral Cancer Foundation after her husband Bruce Paltrow passed away from the disease, donating her time to the foundation and furthering public awareness of oral cancer with The Bruce Paltrow Oral Cancer Fund. Blythe Danner's unyielding spirit and dedication to her craft and the causes she supports, not to mention her undeniable beauty, truly make her a Beautiful Belle. I've always thought she was so lovely. Excellent selection!